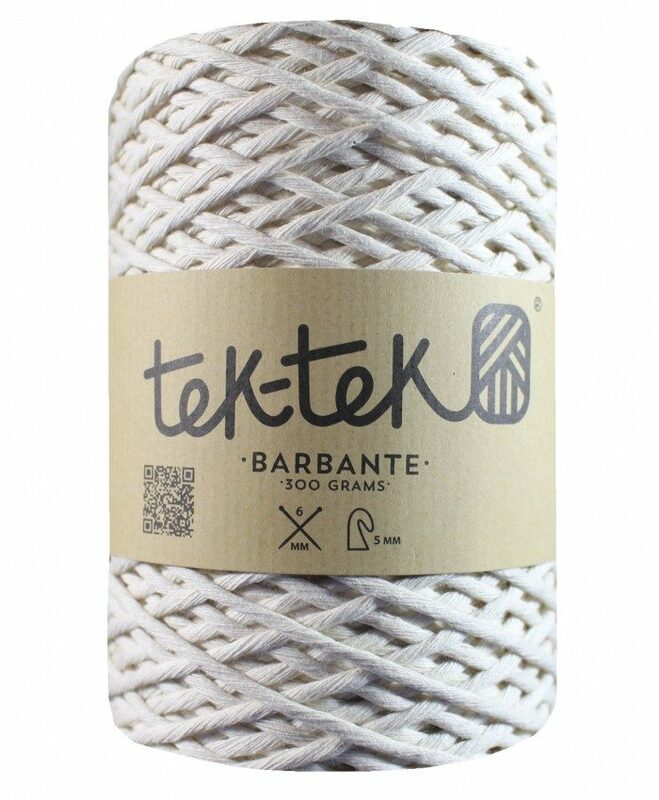 Bobbiny 98% recycled cotton and 1% polyester, 1% poliamide macrame cords are made in EU. This thick cotton cord is ideal for plant hangers and wall hangings. Each bobbin is approximately 100m long. Each cord is made up of 56 fibers to create a smooth cord ideal for fraying and tassels. Tek-Tek XL macrame cord is 3mm thick. its soft and flexible. Each cord is made up of 36 strands of braided and coiled cotton strands. This cord is ideal for wall hangings, plant hangings and other works. It is also suitable for crochet and knitting works and should be worked with a hook or needle 4mm – 8mm in size.